I’ve been away on holiday. Just me. I have a husband and two children, all adorable, all wonderful, but I left them behind for four days on my own. I’ve had a rotten couple of months. One small crisis after another had left me feeling pretty battered and bruised, and my normal joie de vivre was…well…morte. Or mort. Whichever. Anyway, I wasn’t feeling like myself. I had that wobbly middle that you get when you’re really, really tired but it’s not just tiredness, it’s a kind of weary exhaustion that dogs you and pulls you down. In short, I was mildly depressed – which surprised me, because I’ve never had it before. But once I realised, it was quite obvious. I had Had Enough. Not of life, but of People. Demands. Responsibilities. Of course, the first thing I did when I arrived was buy one of these. It’s compulsory, isn’t it? I love the sea, always have. I don’t know why. 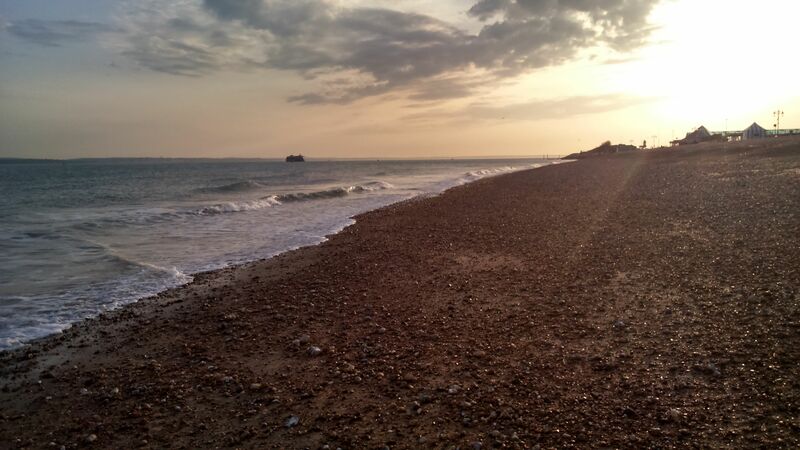 I didn’t grow up by the sea, but somehow I find it very reassuring, very calming. The sea is always on the move; always changing, and has a raw power that I find exhilarating too. 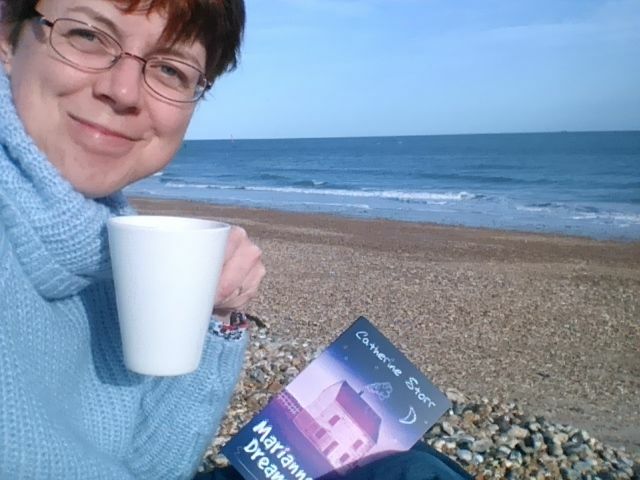 It can be hard to quieten your brain when it’s chuntering away, but when you sit and look at the sea, it’s kind of hypnotic and you find that you can manage to think about not much at all. 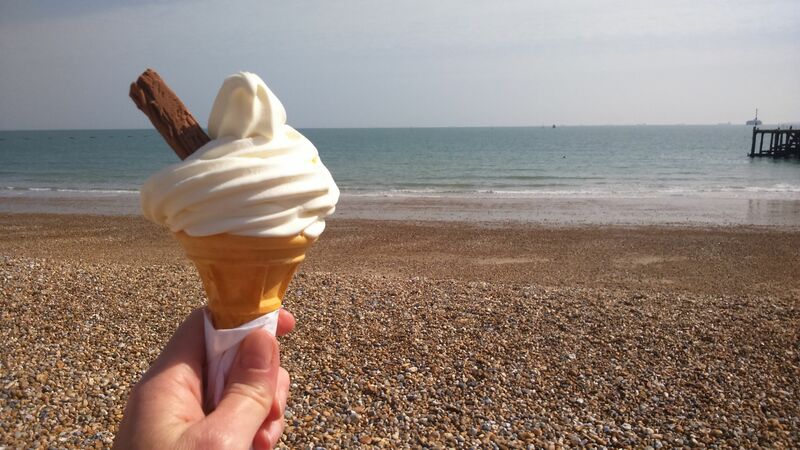 I also learned that it’s possible to get ice cream headache in your feet because the water is so flipping cold. I didn’t do much either. I went to an aquarium one morning and looked at the fish. I like looking at fish. 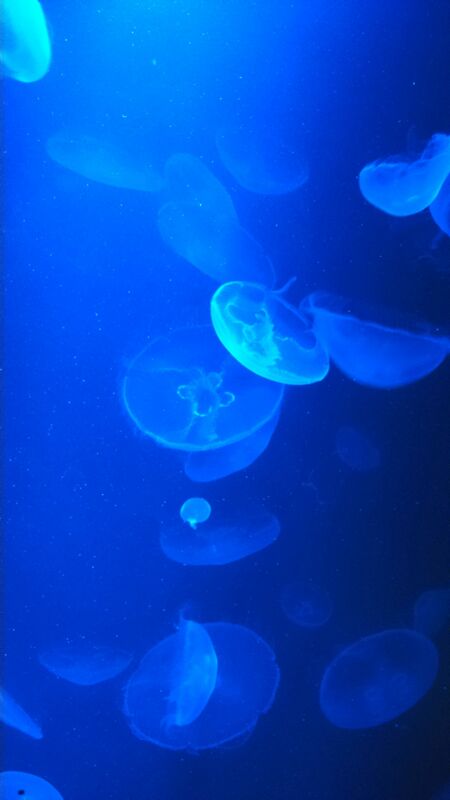 Moon jellyfish in blue light. Very cool. I spent a long time one afternoon looking for shells on the beach too. 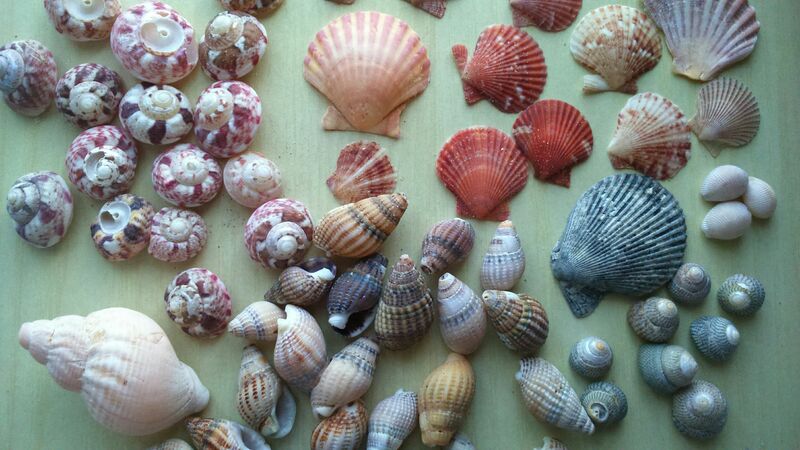 I pretended to myself that I was collecting them for my six-year-old, but actually I just like collecting shells. And I could spend as long as I liked doing it. 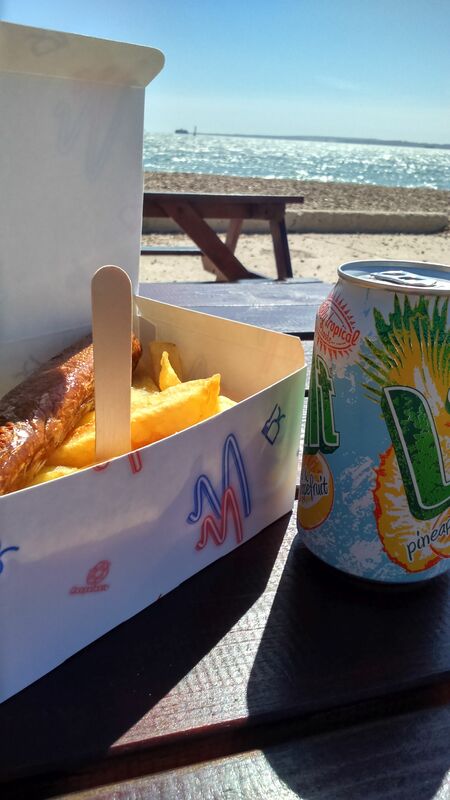 I had lunch on the beach too. And when it got dark, I went out onto the beach to count the stars. 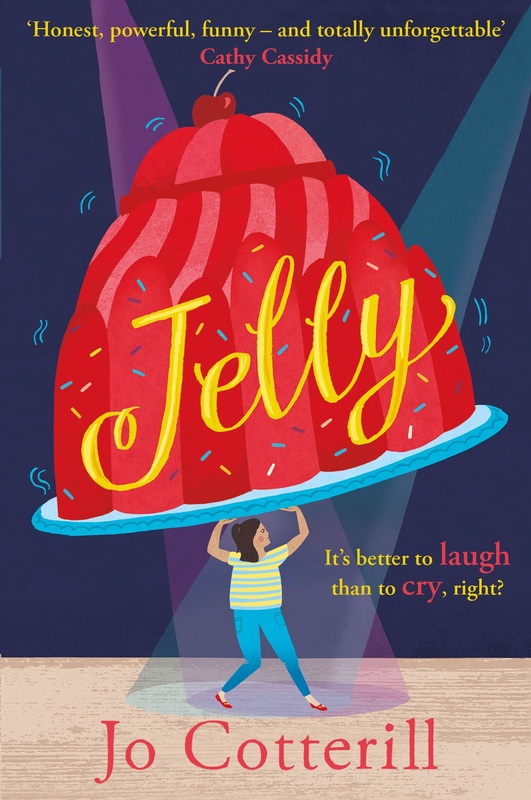 I read three books and wrote two songs and got blisters from practising the ukulele (I can do six whole chords!). And I slept a bit and watched TV a bit and walked along the prom. And did lots of thinking and feeling. Because Real Life often makes you put your thoughts and feelings aside, and it’s good to be able to take them out and look at them every now and then, even if you then decide to put them away again. Some people don’t like being on their own, but I love it. It helps me recharge. Find strength in the wobbly middle. And I do feel better for it. I don’t think I’m quite back to ‘normal’ yet, whatever that may be, but I’m a lot closer to it than I was this time last week. Very, very wise – repeat as required! ah, that’s the temptation, isn’t it, Joan? 😉 Haha! But you know, I didn’t mind coming back. Going away made coming home all the nicer. Glad you feel somewhat recovered from the dull cold greyness, Jo, and that you had such a restorative time. Ive just had a few days all alone at home – too far inland for seashore meandering, but so wonderful to be without demands. Do look after yourself and your “space” now you’re back. Good for you, Jo. Glad to hear you’re feeling more like yourself. 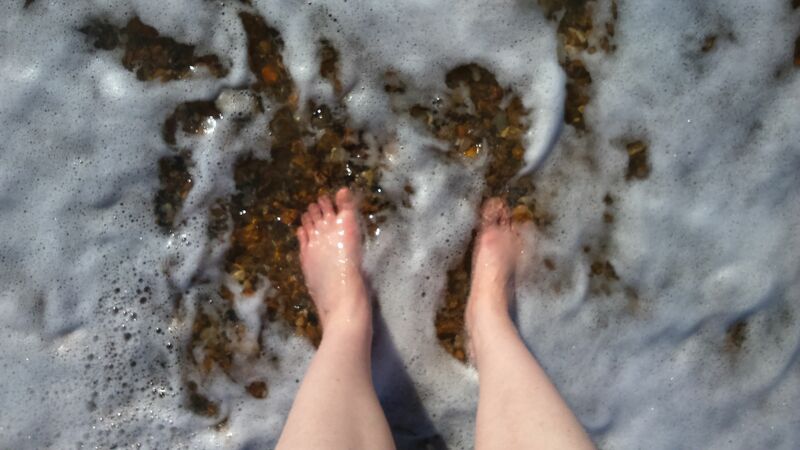 I love the sea too, I was lucky to live near the sea for many years. It sounds lovely, Jo – just the job!